A perfect addition do your Christmas Treasures! 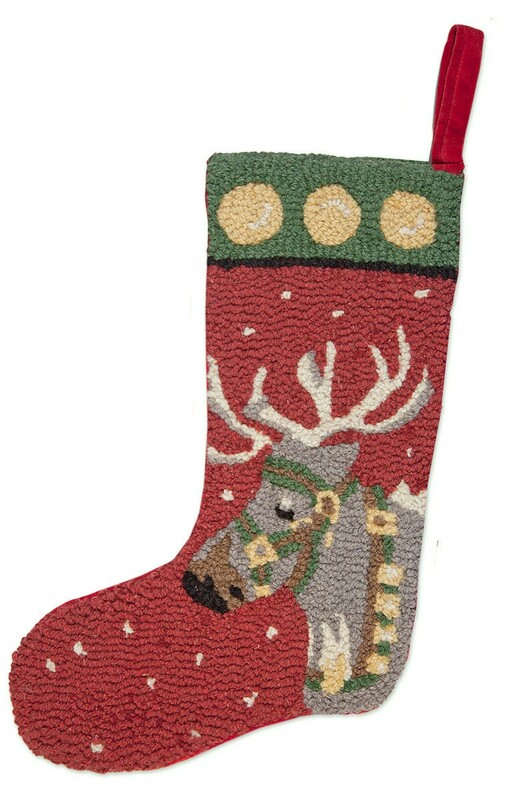 Who wouldn't love this reindeer stocking with the yellow dots around the top and red background dappled with flecks of snow? 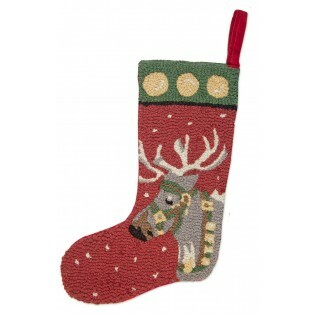 20" long hand hooked Christmas stocking, made with 100% wool.